Imagine this, you’ve meticulously prepared for a feedback session after evaluating a 12 year old to determine whether her attention difficulties are the result of ADHD or of another origin. Your graphs are beautiful, your prepared delivery is going great….and then you notice a parent having a strong negative reaction. When you stop to ask what is happening, the parent says that they think you are full of $#! *….the DJ stops the record! What is a poor testing psychologist to do in these situations? For me, the feedback of testing data is unequivocally the most rewarding part of my work. Early in my career, situations like this created an urge to prove what the data said. Through force, the parent would have no other option than to agree or somehow understand the tsunami of incredibly nerdy data thrown at them! As I reflect back about this, my immediate reaction is – what a waste! No one benefits from proving a point. Parents walk away unhappy, you feel drained from the process, and most importantly, the child being assessed will likely not get the assistance/intervention/support they need to be successful. It is important to remind ourselves that a parent’s reaction is very important. Nothing in their lives is more important than their children. 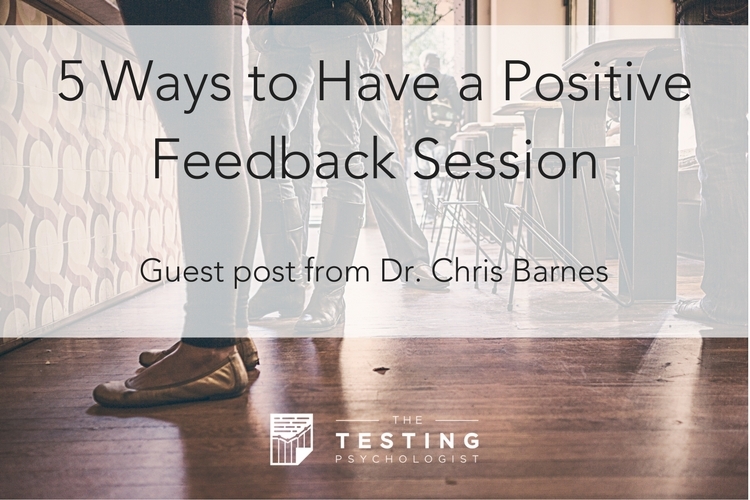 As a result, they often walk into the feedback session with increased anxiety. I believe that it is important to embrace this and treat it as part of the feedback process. My stance on feedback now is, “Let’s get together to see how all of the data came together, discuss our reactions, and determine the next best steps for support.” I have found that when the focus switches from “telling” the parent about your findings to “discussing the results” with parents, it feels much less hostile when a parent disagrees with an outcome. The above example is exactly what I never want to happen again. Now my focus is less on communicating the details of the data, but rather engaging a conversation about how the data I collected help answer some questions: the questions they came to me with. I believe that it is not our goal to move mountains thought the testing process. We are able to interact with a patient for a brief episode in their lives, and our duty is to leave them with more information than they came with. In some cases that is life changing, and in others, we can say very little. Regardless though, when the sophisticated assessor is aware of reactions to feedback, you are able to leave your patients with a higher degree of understanding as well as a path toward intervention. Remember that patients come for information and that information may be difficult for them to hear at times. Learning to provide feedback gracefully is key! Chris is a unapologetic over thinker! 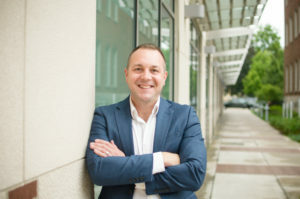 Learning things the hard way, he has been able to develop and grow several successful private practices specializing in psychological assessment. Having an undeniable admiration of family, an insatiable love for all things tasty, and often being referred to as a data junkie, he is always on the infinite quest for balance. You can find Chris at Kalamazoo ADHD Consultants, his practice in Kalamazoo, Michigan. 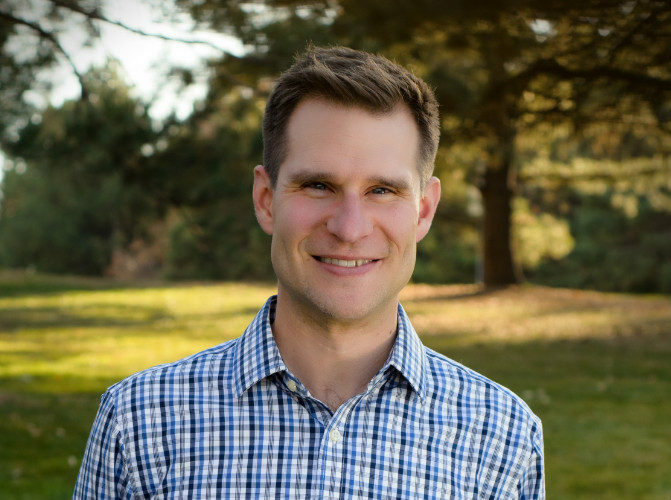 I’m a licensed psychologist and Clinical Director at the Colorado Center for Assessment & Counseling, a private practice that I founded in 2009 and grew to include eight licensed clinicians, three clinicians in training, and a full administrative staff. I earned my undergraduate degree in Experimental Psychology from the University of South Carolina before getting my Master’s and PhD in Counseling Psychology from Colorado State University. These days, I specialize in psychological and neuropsychological evaluation with kids and adolescents.